Last week, KTM announced the launch date of the new Duke range for the Indian market. While we’re confident that the new 2017 390 Duke will be launched at the event, there has been a lot of speculation about the relatively smaller displacement KTM. Earlier, we received spy images of the new 2017 200 Duke’s test mule courtesy Motoroids follower Nikhil Gavit. 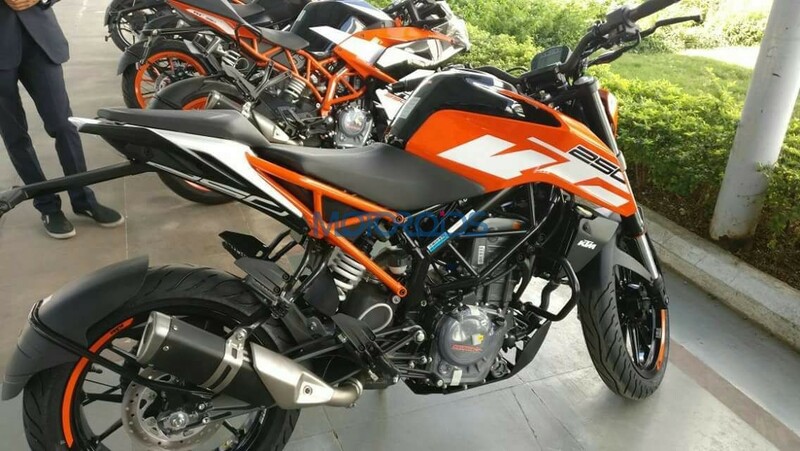 Adding to the speculations are the latest sightings of a new KTM motorcycle in the country, the 250 Duke. 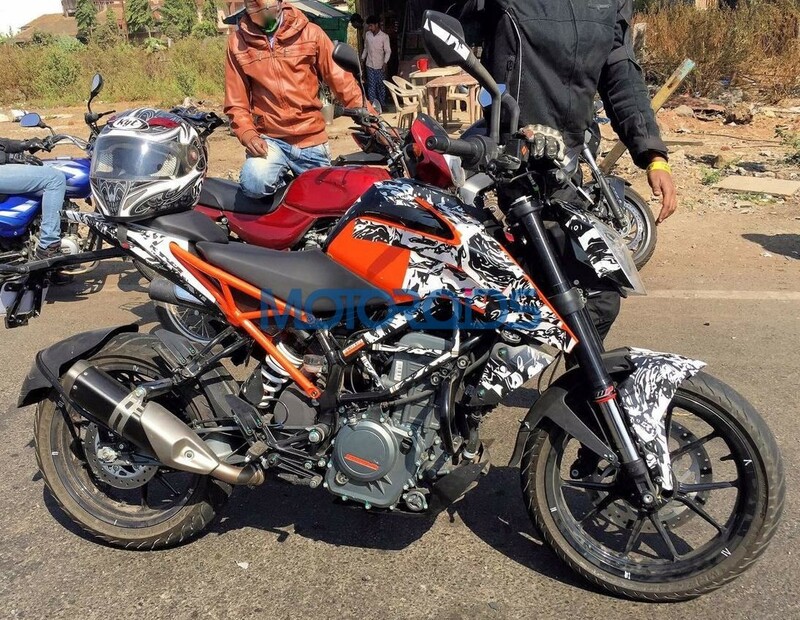 In latest news, a test mule and a production ready model of the new KTM 250 Duke was recently seen in India. The saree guard on both the models and the pillion grab rail on the RC390 in the background, which are only seen on the India spec model, confirm the fact that the spy photographs were indeed clicked in India. The test mule and the production ready model were equipped with MRF Revz-FC1 and Revz-C1 tyres instead of the Metzeler Sportec M5 Interact tyres that are seen on the international model. Moreover, ABS was missing from both the test mules too and the motorcycles donned the instrument cluster from the outgoing model instead of 390 Duke’s modern LCD display. The 248.8cc engine on the 250 Duke receives a shorter bore and stroke when compared to the 373cc engine of the 390 Duke. The international spec model draws 31 hp of power at 9000 rpm and 24 Nm of torque at 7250 rpm from its 248.8cc single cylinder liquid cooled engine and we don’t expect that to change. The sighting of the 250cc model comes as a surprise because KTM India had confirmed that the 250 Duke and the RC250 will not be coming to Indian shores. 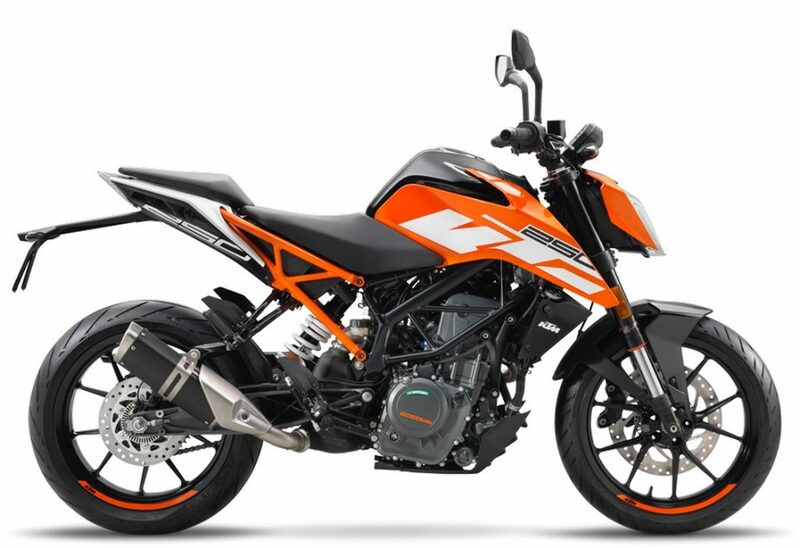 So would we really see the KTM 250 Duke replacing the 200 in the Indian market? We’d have to wait for that answer the official launch scheduled on February 23, 2017. We’d be bringing all the LIVE updates from the launch event so don’t forget to tune into Motoroids on February 23, 2017 at 11:30 AM for the latest information on the upcoming 2017 KTM range.